I’m not overly into ridge routes. Some people love them, but I often find the awkward rope work, broken ground and frequent rappels a bit of a faff. 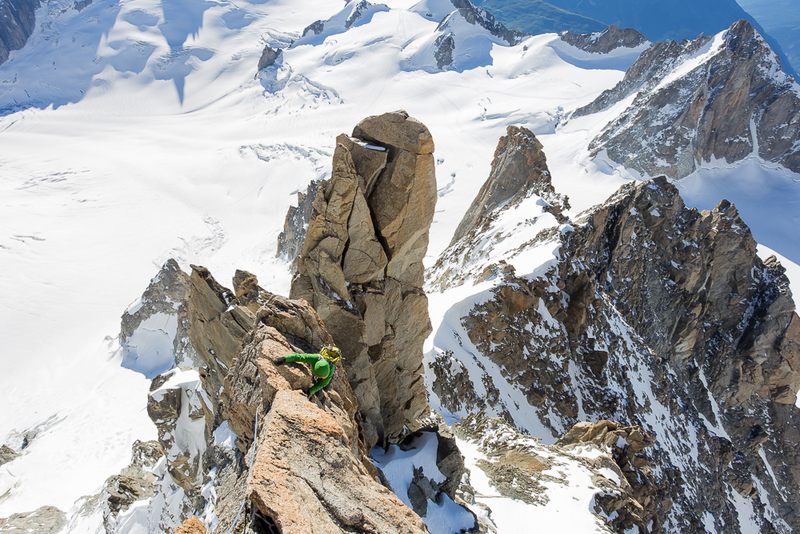 However, even the most ridge-averse alpinist would struggle not to see the appeal in Mont Blanc du Tacul’s Arête du Diable, an exceptionally aesthetic ridge on good rock with fantastic views of the Mont Blanc massif. In addition, for the peak-baggers out there, the ridge sees you top out on six “4000ers”. Keep to the guidebook time of 6 hours from the start of the ridge to the summit of the Tacul and that works out at one 4000er an hour! Two weeks ago Alex and I went to climb the ridge. We didn’t quite keep to the one 4000er an hour pace. In fact, the whole thing turned into a race for the last Midi bin back to Chamonix. However, the ridge is just as aesthetic as it’s hyped up to be. Moreover, the rock is far better than I thought it would be with some fantastic pitches in a truly stunning setting. Well worth doing! 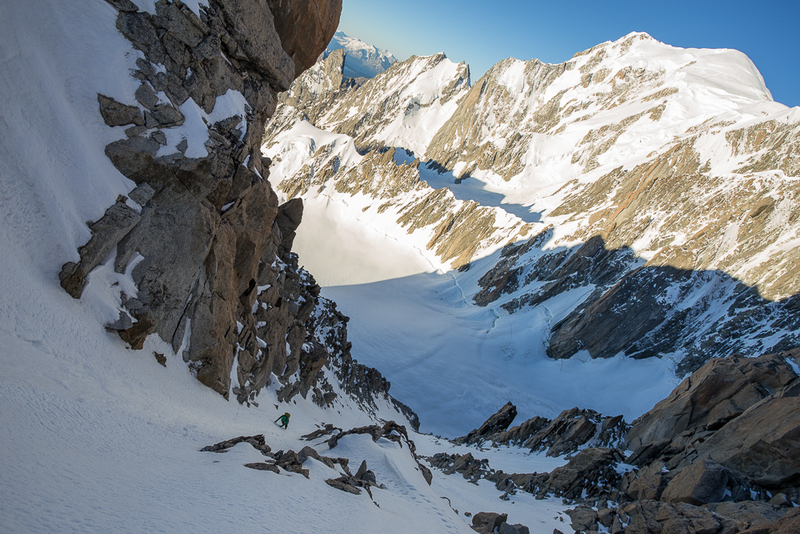 Alex approaches the ridge via the Col du Diable’s south west couloir. 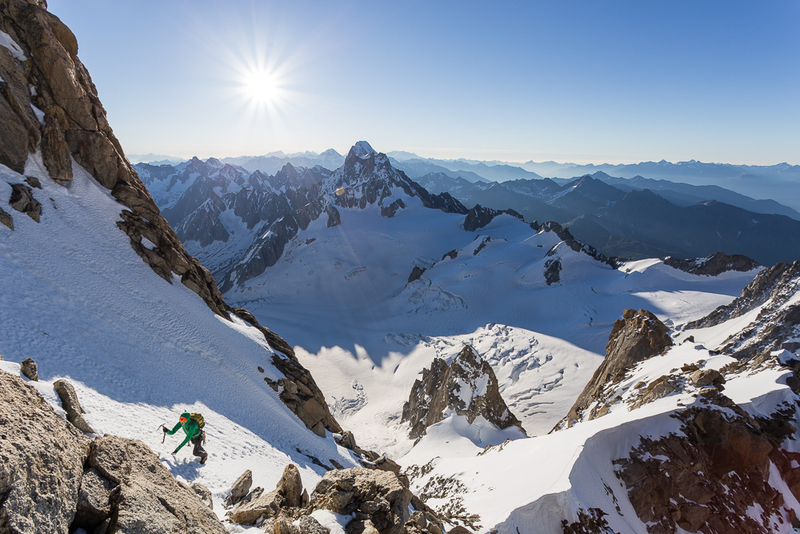 In the background stands Mont Blanc and its Peuterey Integral. 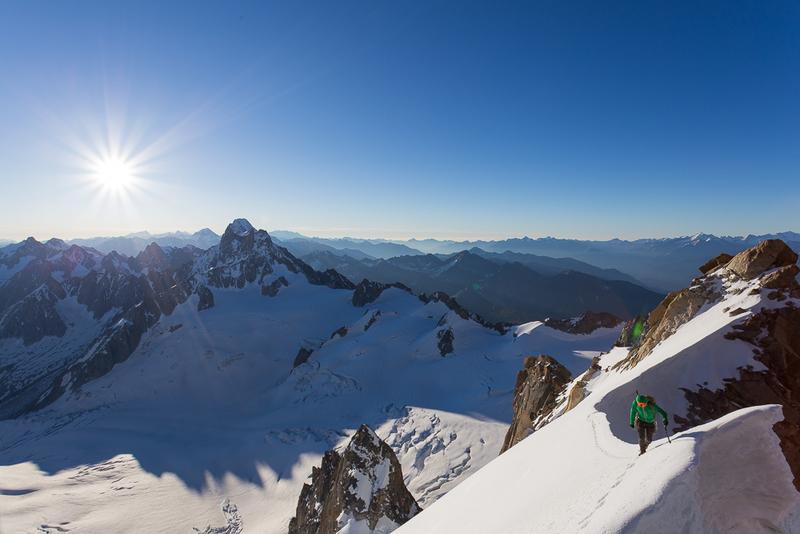 Alex starts up the ridge as the sun rises over Italy. 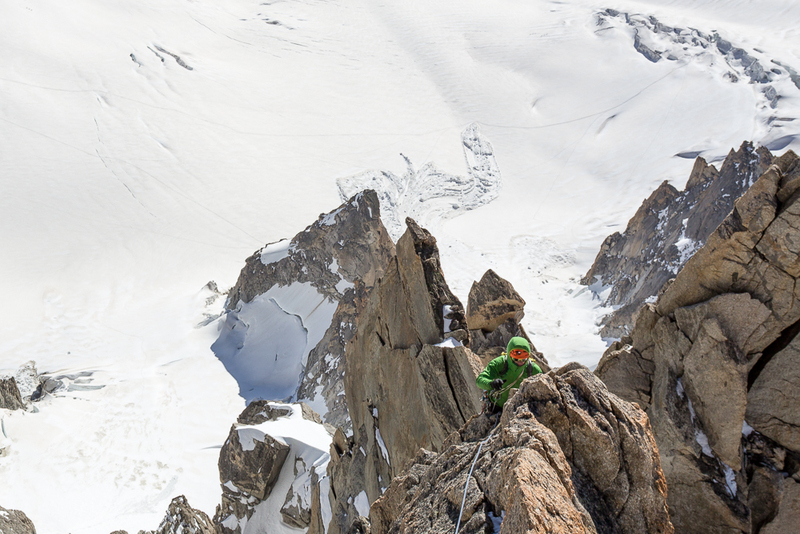 Alex on the approach to the Corne du Diable, the first of the ridge’s five summits. 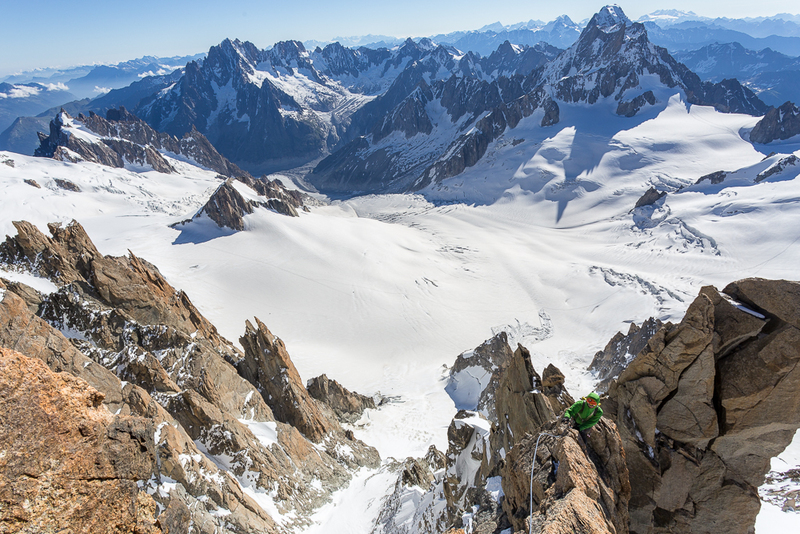 Alex climbs up the east ridge of Point Chaubert. 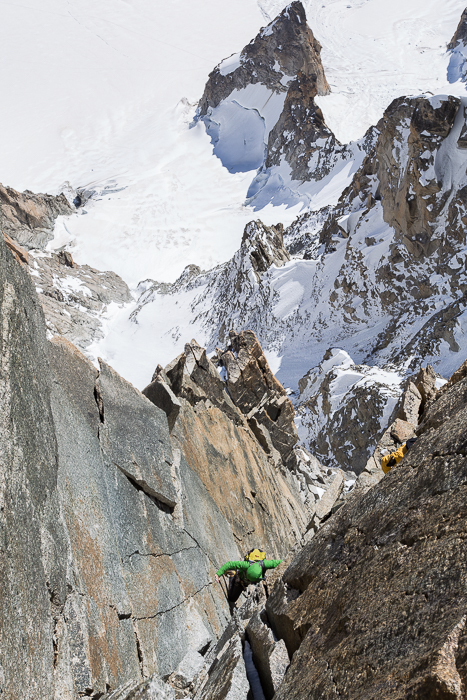 This is a great pitch of 5a on solid rock with some huge exposure. The views do not disappoint! 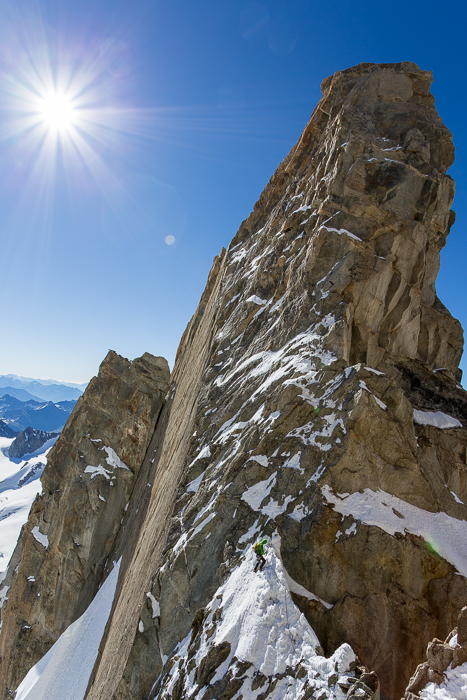 Alex delicately makes his way up to the top of Pointe Chaubert. Alex on the last rappel off Pointe Chaubert. If you do the ridge in its entirity, there are 11 rappels at 5 different points. Good rope work is essential if you want to come close to hitting guidebook time. Alex climbs up the incredible 40m corner of Pointe Médiane. Sustained 5b all the way, this has to be one of the best pitches I’ve climbed all summer. 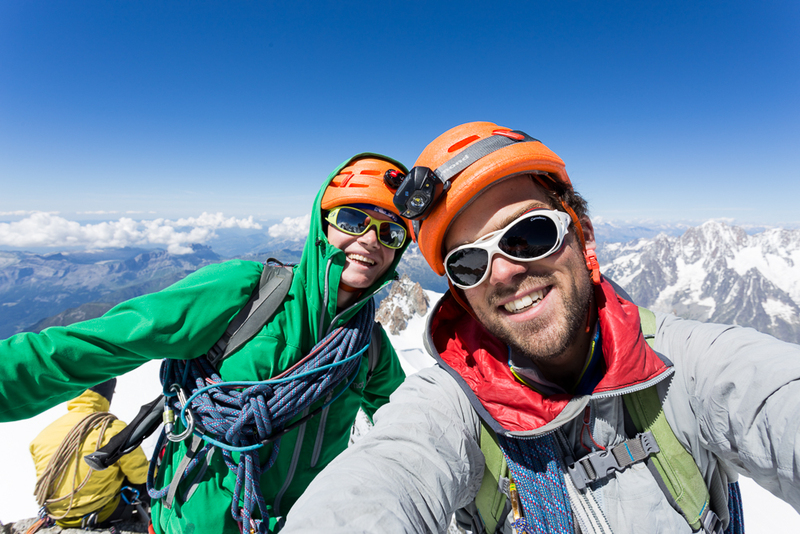 Alex and I on the summit of Mont Blanc du Tacul. After nearly 12 hours on the go, the smiles hide some serious fatigue!